At Sunhill we pride ourselves on our residents maintaining active bodies and minds. We provide a vast range of activities within the home, tailored to individual desires and group settings. Day trips out from the home are also organized and we invite our residents to participate in as many activities as they want. 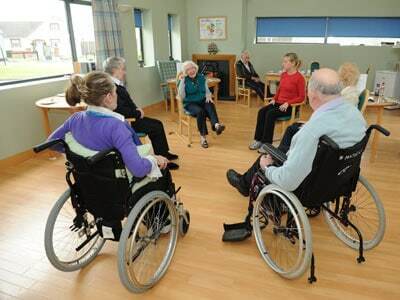 A stay in the Sunhill Nursing Home can be as eventful or relaxing as you require. We provide an annual holiday within Ireland for residents to ensure their desire to travel is continued. Sunhill Nursing Home employs 2 full-time Activities Coordinators. Their role is to assess the specific desires and needs of residents and then tailor an individual activities program to them. We respect the fact that some Residents will want to partake in group activities whereas others may prefer not to. Our activities Coordinators will spend individual one on one time with a resident as required. At Sunhill Nursing Home, we are happy to provide any service or activity that Residents enjoy and always welcome suggestions and ideas for new activities. We hold a large Bar-B-Q during July for residents and their families each year as well as a Christmas Party. To which all residents are invited. Families and friends may be invited to participate. Volunteers often help to bring residents to the party and join in the fun. Both secular and religious. Valentine’s Day, St. Patrick’s Day, Halloween, Christmas, Easter are a few examples. Which can be enjoyed actively or passively depending on the abilities of the residents. Sunhill Nursing Home have sing-alongs, concerts in house and travel to various theatres and performances in the area. Which foster both one-to-one relationships and group activity. Bingo is a favorite for many, but cards and other games for smaller groups usually are available. Outdoor activities include gardening, Garden Parties , or just enjoying time in the sun alone or with a friend. Family, friends and volunteers are welcomed. 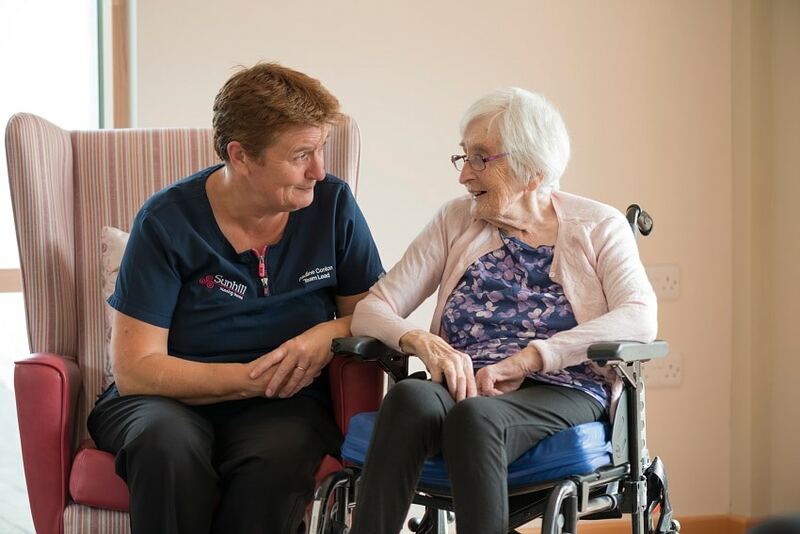 Sunhill Nursing Home has a very active Resident’s committee who meet regularly with the Home Management Team to discuss issues around the home which affect them. The residents choose the agenda and any resident may attend if they wish. Sunhill Nursing Home welcome all religious denominational groups to provide religious services in the home for those who wish to attend. Local Mass can be streamed live from the local Parish webcam. Have a look at our Newsletter!